The Scrapbook is a collection of some of my accumulated pictures. which I want to share. All pictures are © the individuals and must not be reproduced without written permission. All pictures shown here are shown by permission of the individual owners. Pic 1. 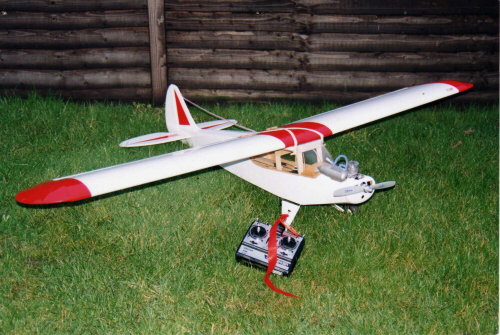 It's 1992 and I build my first model to learn with. No ARTF's in those days! Pic 2. In them days it was compulsory to have a WOT4. 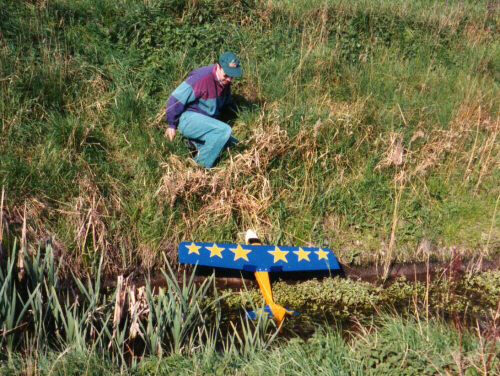 At our local flying club it was also compulsory to overshoot into the the dyke! Pic 3. 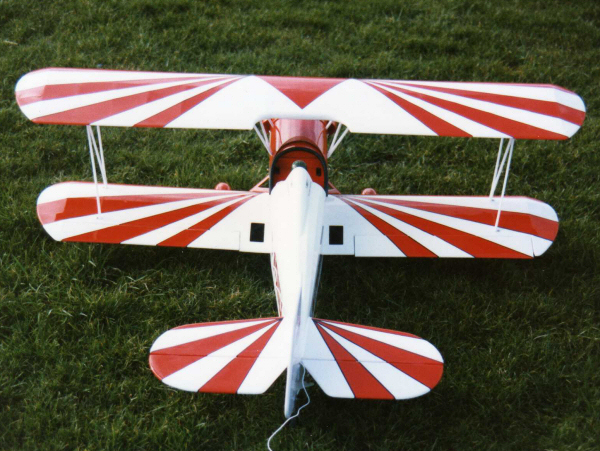 My first Bi-plane was a tiny President Bi-Fli which was only thirty something inches wing span and powered by an OS25. 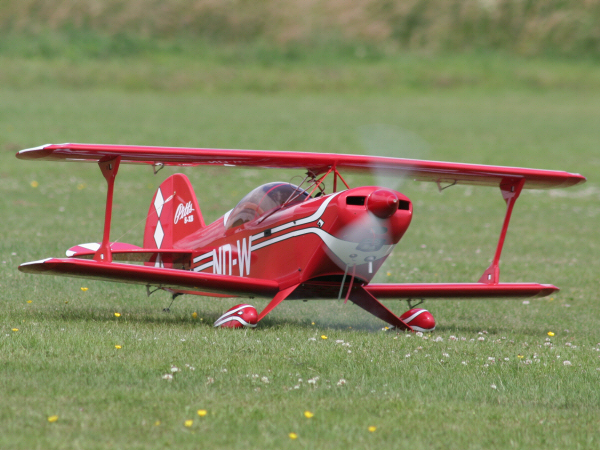 Great model and was sadly missed when I eventually crashed her after many flights. Pic 4. 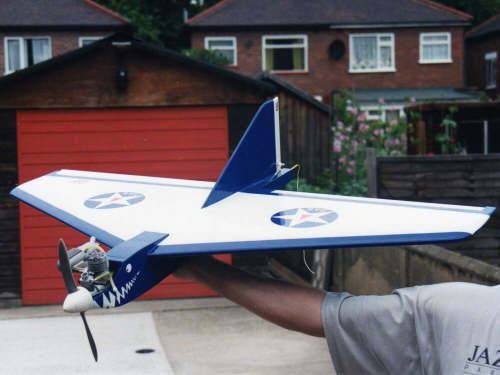 A bit of fun with an SAS Delta wing. I literally wore this model out - cracking! This is my Flair Giles G202 120 fitted with my Laser 150. Purchased purely to run the Laser engine in and to get me some practice with the 4 stroke engine. Pic 5 & 6. 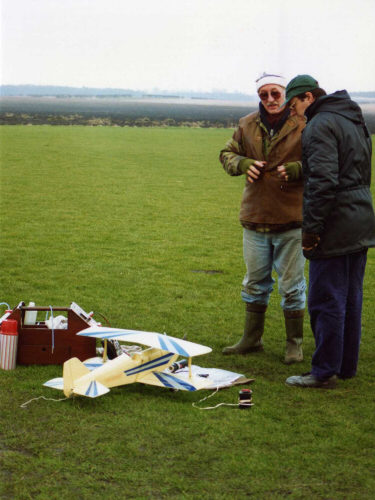 Sig Smith Mini Plane. The first model I ever painted. 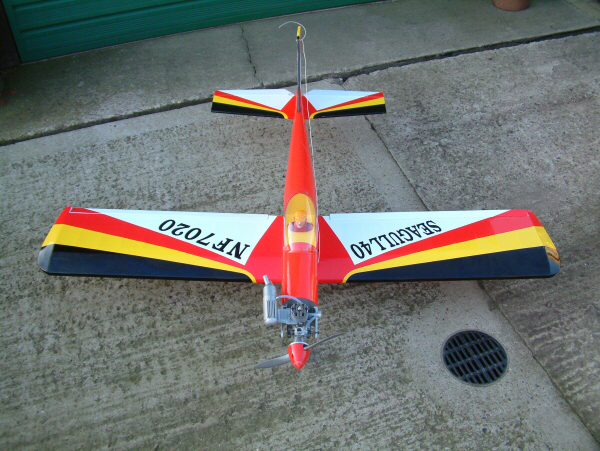 Solartex over airframe and then painted with enamel paints. Pic 2. 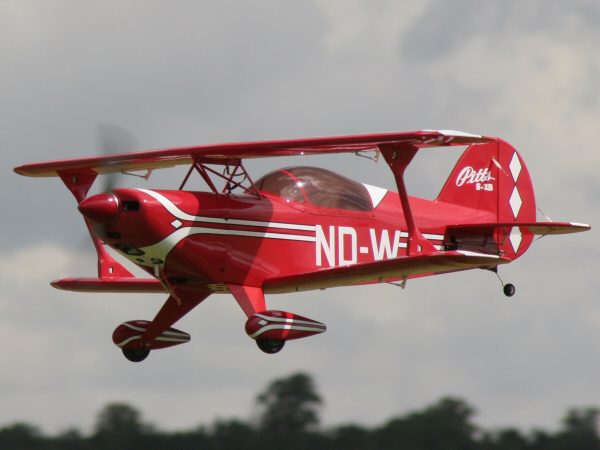 Flair Giles 202. 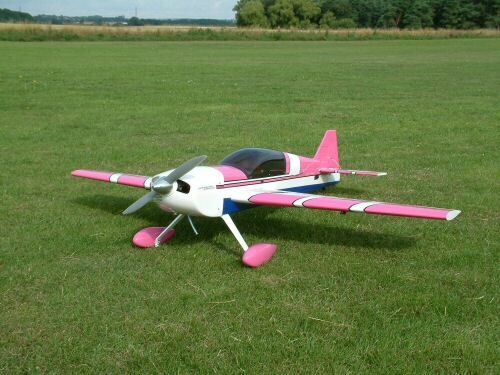 Purchased for a bit of fun and to run in my Laser 150 motor! Not a very well built model ! Pic 3. Decided I was going to do my B Certificate and duly practiced. I used a Seagull PC9 for the test which proved to be most suitable. Pic 4. 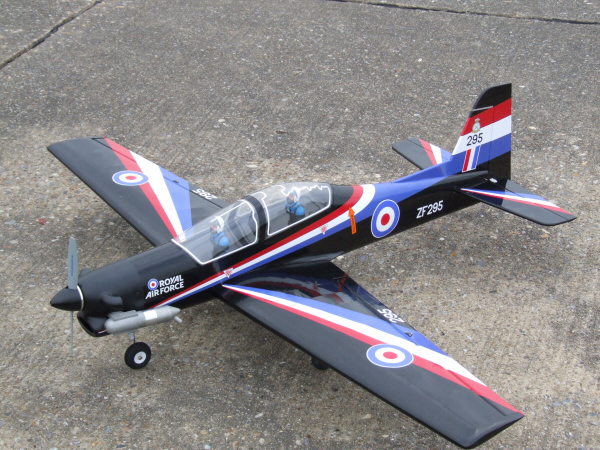 I chopped a Black Horse Pilatus up, added retracts, recovered and decorated in RAF colours. Pic 5 & 6. 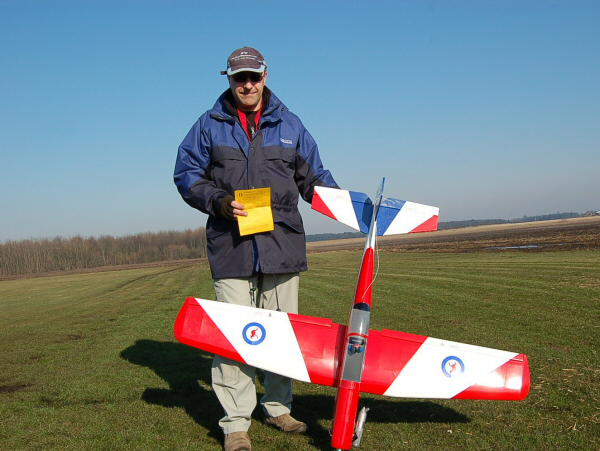 My Cermark 1/4 Pitts S2B. Started life with a Laser 150 but got upgraded to a Laser 180 and transformed the model no end.